If you’re a news-talk listener, Corus Radio has launched on Apple Music, making the former the first Canadian commercial broadcaster on the streaming service. Seven Canadian news-talk stations are now available (via Global News): AM900 CHML in Hamilton, as well as Toronto’s AM 640, London’s AM 980, Vancouver’s News Talk 980, Calgary’s News Talk 770, Edmonton’s 630 CHED, and Winnipeg’s 680 CJOB. The stations are available for free, via the Radio tab within the Apple Music app. 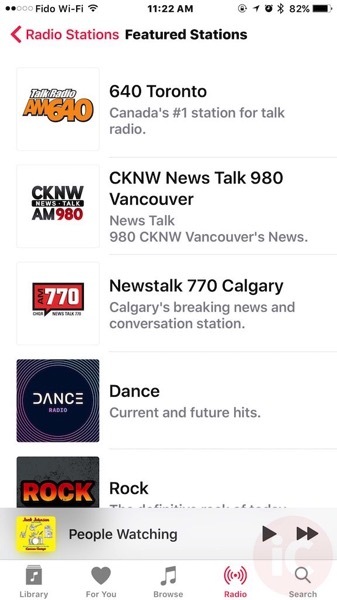 Currently, 640 Toronto, CKNW New Talk 980 Vancouver and Newstalk 770 Calgary have prominent placement under the Featured Stations section. Looks like Corus is the first to get into Apple Music’s Radio tab, unlike rivals. Rogers is set to launch a dedicated app through Radioplayer for their stations, while Bell recently launched iHeartradio in Canada. The addition of these stations in Apple Music makes it easier for listeners to tune in. Unfortunately, Siri fails to launch the stations when you ask her.